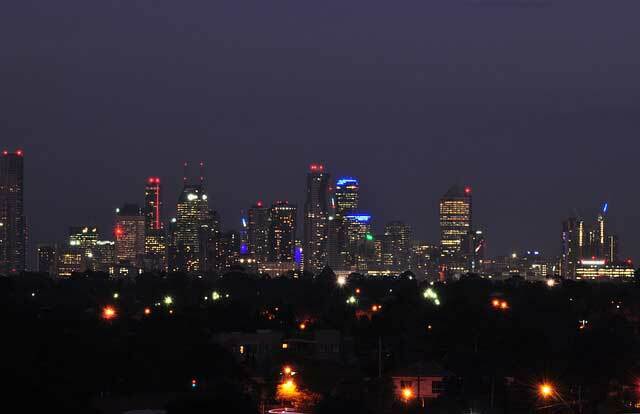 With over a decade of experience operating in the North Melbourne area, Revive a Drain’s crew of licensed professionals are the plumbers you can rely on. Regardless of how much work is needed or how long a job takes, we make sure that every job is done professionally and in a timely manner. Don’t hurt yourself trying to fix your plumbing emergencies on your own. Call the qualified professionals that can safely & quickly solve your problems. Emergency plumbing services are one of Revive a Drain’s specialties so whether it’s a burst pipe, blocked drain, flooding toilet, or anything else, our team is standing by to help when you need us most. For a complete list of our services, please visit our services page here. Because we live and operate locally, we’re able to offer 24 hour emergency plumbing services, 7 days a week, to the North Melbourne area. We know that there’s nothing worse than having an plumbing emergency in the middle of the night or on a Public holiday and having to wait until the next day to get it sorted. That’s why here at Revive a Drain, no matter what time you call, we’ll have a qualified plumber at your home within the hour. Don’t take the risk of waiting until the morning to get your problem sorted, call Revive a Drain immediately. Of all our specialties, our blocked drain & drain relining services are our most requested. With a focus on quality, efficiency and affordability, our drainage services are second to none. And because we use the latest in German technology and equipment, we don’t need to dig! That means no more ripping up garden beds, driveways, or parts of the backyard. Drains are unclogged faster and hard to access pipes are repaired quicker so you don’t have to wait around for days get to your drainage problems sorted. Most the time, we’ll be finished the job within a few hours. You can read more about our unique blocked drain & drain relining services here. We deliver high quality hot water systems at competitive prices for all our North Melbourne customers. To do that, we selectively choose the brands we work with so we're sure of their reliability. And because our crew is so experienced with these brands & hot water systems in general, we can save you time and money. We regularly help our customers with repairs, inspection & maintenance, replacements, and conversion from electric to gas or vice versa. If you’re not sure whether or not you’re hot water system needs some attention, the chances are, it does. And what’s most frustrating is that sub-optimum systems can be silently costing you money so the sooner it gets sorted out, the better. For experienced, reliable and friendly plumbers in North Melbourne, please give us a call. Our quality, professional and affordable plumbing services are accessible to all & among the best in the industry. No job is too big or too small. Join the hundreds of homeowners and businesses who have trusted us with all of their plumbing needs and call us today.